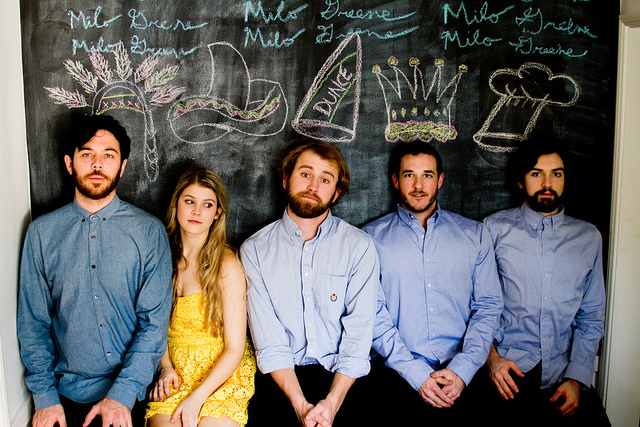 Milo Greene headlines their current U.S. tour, stopping Thursday in NYC at Mercury Lounge. So, some of you may have heard about a tiny little fest-i-val featuring little-known musical acts happening this weekend in Rhode Island. …Okay – maybe it’s a ridiculously awesome festival with a laundry list of dream acts playing within rock-throwing distance of each other in the span of 48 hours. But, if you’re not making it out of the concrete jungle for this year’s Newport Folk Fest, that’s okay (we guess…). There’s still a handful of awesomeness happening in the city this week. Plus, tonight yet another young bluegrass miss hailing from Boston’s Berklee College of Music (think: Sarah Jarosz) will play Highline Ballroom. She’s Tennessee-native Sierra Hull. Hull more than knows her way around a mandolin, and the content of her songs truly belies her years. Come check her out. Wilco — 7 p.m. at Prospect Park Bandshell / Celebrate Brooklyn!